Our most popular service is designed for clients who benefit from assistance on a regularly scheduled basis each week. Care plans and schedules are customized based on each individual’s needs and certified nursing assistants are available from three to twelve hour shifts each day for one to seven days per week. Clients who have chronic illnesses such as Alzheimer’s and Dementia, Parkinson’s disease, Stroke victims, Cancer patients, and many more require this service. This is a more hands-on assistance level of care, where clients who are mostly immobile or those who are suffering from various ailments need more help with regular daily tasks. 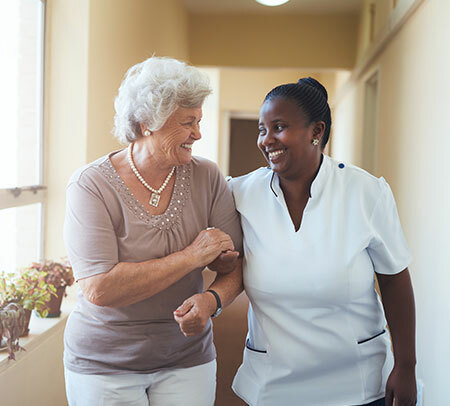 Our caregivers are Certified Nursing Assistants who are trained to provide care with the utmost respect for the client’s need for independence. Our main goal is to keep our clients safe and happy. This service for those who are still primarily self-sufficient but would benefit from personal care assistant and lifestyle support. Overall, our caregivers provide clients with the help they need. Run errands as requested and maintain a safe environment for our clients, so that they will not get hurt during the recovery process.